Home extensions are a complicated process; they add a huge difference to your home, so it’s important that you pick the best home extensions for you and your family. What Are The Best Home Extensions For Me? There are a variety of different home extensions that can be added to your property. You can make the decision to extend upwards, downwards or even sidewards to make your home extensions out of the way or as a statement. The reason your extending plays a big part in which extension you should choose. For example, another bedroom needed on your home may not be best suited as a basement extension that often takes a significant amount of heating to keep warm and is below the home. Whereas a loft conversion extension could be perfect as a bedroom, loft conversion optimises hidden space within your attic and allow you to make the most of the space – giving you the ability to choose things such as an en-suite or walk-in wardrobe. A basement bedroom is typically dark and dingy due to minimal light, so if it’s an extra bedroom your after then, this might not be the best option. If you already know the extension process you want to follow then we have great news, we’ve devised a checklist of things that you should take into account when getting a home extension to ensure that your home extension runs smoothly and just how you want. So keep reading! There is no point in preparing your home for home extensions Towcester for your plans to be turned down by your local council. It’s essential that you receive planning permission before any building works begin to take place, if you believe you do not need planning permission then you still have to obtain a building regulations approval to ensure that the work carried out on your home is safe and carried out properly. Although this may seem like a hassle, it safeguards you from losing money or having dangerous work completed on your home by cowboy builders! Not sure of the signs of a cowboy builder? Take a look for the warning signs in this article. Each local council provides a different set of building regulations and guidelines that must be followed during the building process. Visit your local council’s website or call them and ask for a copy of the basic building regulations and fit them to your design, find yourself a designer and architect that is willing to go the extra mile as home extensions can sometimes be tricky business. It’s better to be friendly with your neighbours than to ignore them; sometimes they can be what makes or breaks the decision of you extending your home. Talk to your neighbours about why you want to extend your home and how beneficial it will be to you and your family, with them on your side it’s going to be harder for anyone to turn down your request for planning permission. This does not, of course, mean that you should never speak to your neighbours unless you want something, it makes your home a happier place and gives you the opportunity to make long-term friends. If your neighbours really don’t agree with your decision and you simply cannot get planning permission then do not panic, a loft extension allows you to extend your home by using space that you do not use – and it doesn’t require planning permission! Check out this article on the benefits of a loft conversion. Being organised with situations like these leaves you better financially and timewise in the future. Create a spreadsheet of all of your income for the month, the money you have saved and your outgoing expenses. This way you can track and get a proper understanding of how much you can afford to spend, while your extension is taking place you should keep track of any extra expenses so that you can keep track of your spending and not go over budget. 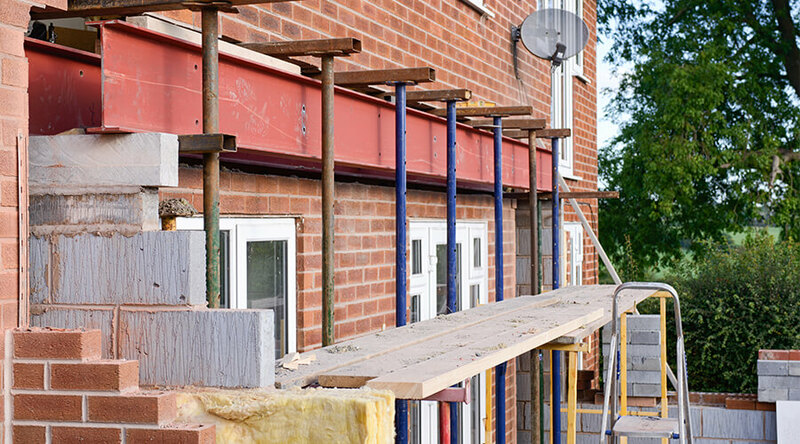 As well as all of the fees that you pay to builders Buckingham you must take into account all of the legal proceedings and fees that need paying. Although they are not costly, little and often prices add up over a period of time so be sure to leave money left over in the budget for them. It all comes down to this question, why’re you extending your home? To improve your home value, to make extra living space, for recreational purposes – there are so many reasons that you may want or need to extend your home. Take into account the amount of space that you need for the purpose of extending your home, a bedroom needs more space than a games room, and it needs a lot more furniture, so ensure that you incorporate these expenses into the budget. Something like a recreational room does not need as much space as something like a bedroom or kitchen extensions. Only requiring basic furniture and activities, you can save money on a smaller extension for this sort of extension and then have extra money left over on your budget for additional furniture. Planning is the key for a process like this, by mapping out all of your expenses, the furniture you want and the space that is required for what you want you are guaranteed to be happy with the final result. If you’re struggling to organise a large-scale project like this then it’s completely normal, find an experienced architect or builder that can help you plan out and give you construction advice – professional help can be massively beneficial. So if your thinking about a home extension but aren’t sure then no worries, contact a reliable building company today that can give you advice and help you out along the way. Extending your home gives you a lot more opportunities and more space in your home for the things you want.